We are pleased to bring our long-standing commitment of excellence to the Wakefield & Burlington communities; we invite you to be a part of our HDPT family. 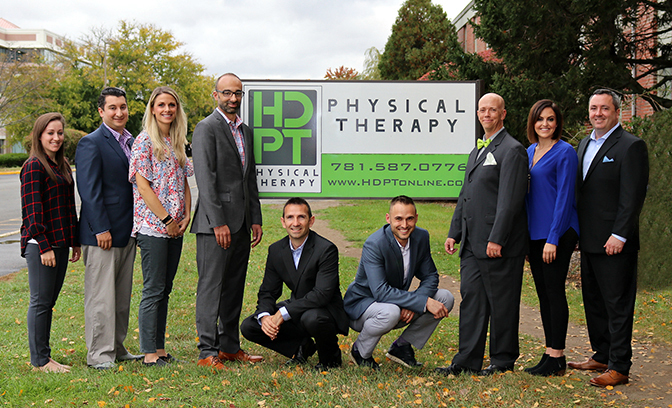 At HD Physical Therapy, we unite traditional outpatient, orthopedic physical therapy with the most modern and innovative tools and techniques. HDPT was created based on a total wellness philosophy, individually addressing each patient’s goals and objectives. We get to know you on a personal level, and care immensely about furthering every aspect of your health and well-being. 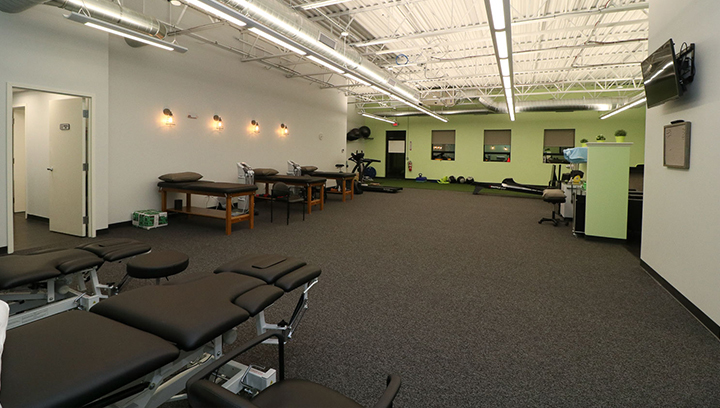 Our clinic’s approach to rehabilitation enables you to heal quickly, safely and with more success. We proudly serve our surrounding communities of Wakefield, Reading, Lynnfield, Melrose, Saugus, Stoneham, Woburn, Peabody, Burlington, Wilmington, Winchester, Lexington, Bedford, Billerica, as well as the North Shore, Middlesex & Essex counties and the Greater Boston metropolitan area. The new Burlington clinic has a large parking lot offering designated spaces and a 0-step entryway for easy access from the start. When you enter the Burlington office, you immediately notice the high ceilings and rows of windows allowing for a bright and cheerful space for healing. Every piece of equipment in the Burlington space is brand new, state of the art and cutting edge. We pride ourselves on maintaining a clean and comfortable environment at all times. The office park, building and clinic are pristine. The HDPT Burlington staff is dedicated to helping you. They are skillful, sensitive, sincere and sometimes silly. We do PT and PT works. Physical therapy is an evidence-based, conservative healthcare option for the management and treatment of most neurological, orthopedic, muscular and skeletal conditions. We educate, empower, inspire and promote positive change for each patient we treat. WHO WE TREAT AND HOW WE HELP. We offer comprehensive, results-driven rehabilitation for people of all ages. We help relieve and reduce pain. We help reduce the need for opioids. We help you avoid surgery. We improve function and mobility. We help you recover from an injury or trauma. We improve your health and prevent future injuries or events. We help you manage health conditions, disabilities and diseases. We manage age-related health issues. We help everyone.